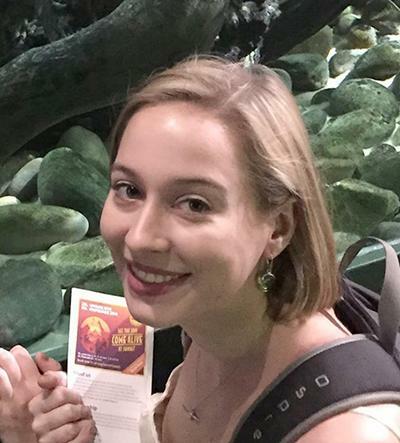 Ms Alice Pullen is a postgraduate research student within Ocean and Earth Science, National Oceanography Centre Southampton at the University of Southampton. B.A., M.Sci. in Earth Sciences from the University of Cambridge. Master’s project specialising in Palaeontology (Latitudinal Gradients in Eocene Predation Pressure). My current work involves comparing changes in marine predation pressure exerted by different feeding guilds across latitudes, with a focus on distinguishing between durophagous and non-durophagous groups. Many authors quantifying predation pressure focus on durophagous animals such as crabs, because their attacks may be recorded on the bones or shells of their prey. However, focusing on one feeding guild alone presents us with an incomplete picture. I hope to investigate other feeding guilds using tools that include biodiversity and energetics.